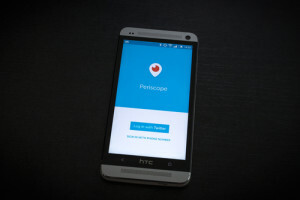 Periscope is the popular live video streaming app purchased by Twitter in March 2015. It’s the Instagram of live video streaming, offering users the opportunity to see the world through the eyes of someone else. Users have the capability to share their stories and perspectives to add value to their viewers in the form of entertainment and/or education. Whether you’re a seasoned business professional or a small business owner, if you use Twitter, and you can add to your credibility and brand using live video as a storytelling tool, you should check out Periscope. You need a Twitter account and the app downloaded to your Android or iOS device to get started. Both business owners and career professionals can utilize Periscope in a variety of ways. Display your knowledge by inviting your Twitter followers to see a live video of you demonstrating how your product is made, walking them through non-secure areas of your work site or even sharing a product demonstration. Giving your target market an inside view can attract customers, if you’re a business owner, or recruiters, if you’re looking for a new position. Showcase your expertise and watch your personal stock increase! Invite followers to submit questions during your live broadcast. Similar to the “insider video” concept, encouraging questions on the spot is a great way to showcase your industry knowledge and your ability to communicate effectively with clients and peers. Additionally, you’re signifying your being comfortable on your toes! While broadcasters must have a Twitter account, viewers can watch from anywhere on the web using mobile devices, PCs, etc. Share links to your upcoming business-related broadcasts via all of your social networks (especially LinkedIn)and even via email, if you have a list.